Industrial Trading consists of the subsidiaries Universal Power Nordic and Duroc Machine Tool. 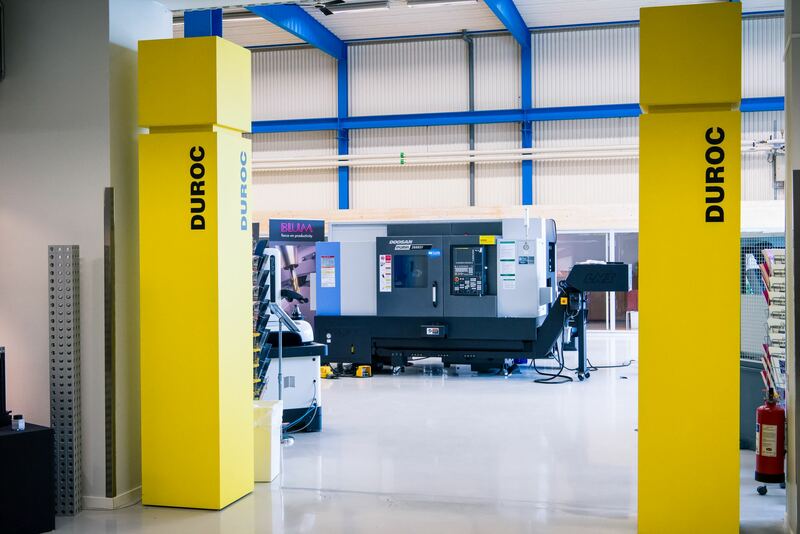 Duroc Machine Tool is active in trade in machine tools including automation solutions, tools, service and support for engineering companies in the Nordic and Baltic markets. Duroc Machine Tool represents a large number of internationally renowned brands. The main product is machines from Korean Doosan. The brand is one of the world leaders in the market. Duroc Machine Tools wide range of tools and machines provides customers with flexibility, stability and security. Buying a new machine or production equipment often means one of the biggest investments a company makes. Duroc Machine Tools plays an important role in the market by helping companies with machines, tools and accessories, production optimization and financing, service, support and education – all that is needed for a competitive production environment. Customers are found among other things in the automotive industry, construction machinery, power generation and the forest industry. From July 2018, Universal Power Nordic is included in the Industrial Trade business area. Universal Power Nordic offers the Swedish and Norwegian market diesel engines for industrial and marine use as well as related spare parts, service, repairs and more. The company has exclusive distribution rights of engines of well-known and quality-proof manufacturers such as British Perkins, Japanese Kubota and American Kohler. In addition to engines from three world-leading manufacturers, the company provides a complete aftermarket program with original spare parts, service and repairs. The company has a low level of experience and has been a leader in industrial motors for almost 100 years. The company has its head office in Skänninge.